The covers are a bit dark with some creaseing and a line running up the middle of the front cover. This book is in Original Form but note the 1917 on the spine is on paper over the Original text, there is also some tape, although small to the spine. The book is tightly bound. 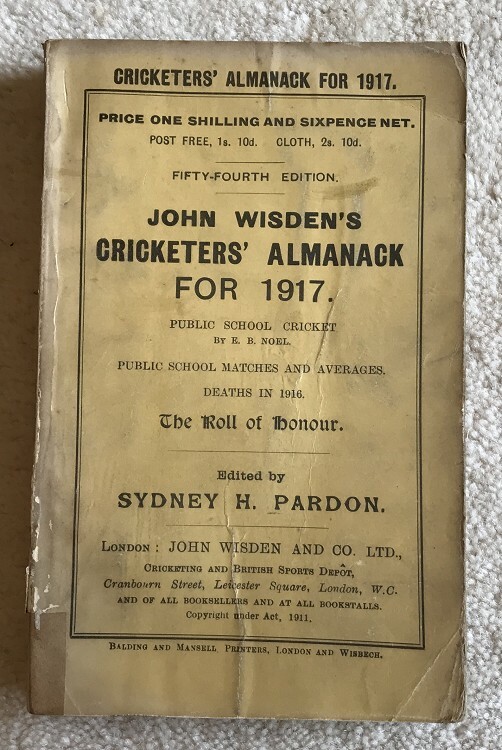 Internally the book is nice, bending to the top right hand corner to most pages but a rare war Wisden at a great price.